I offer a full initial assessment of your horse which would take approximately 1.5 hours due to taking a detailed history and gait analysis. Further treatments are approximately 1 hour and include the whole body. I also use myofascial release techniques and some mobility techniques. 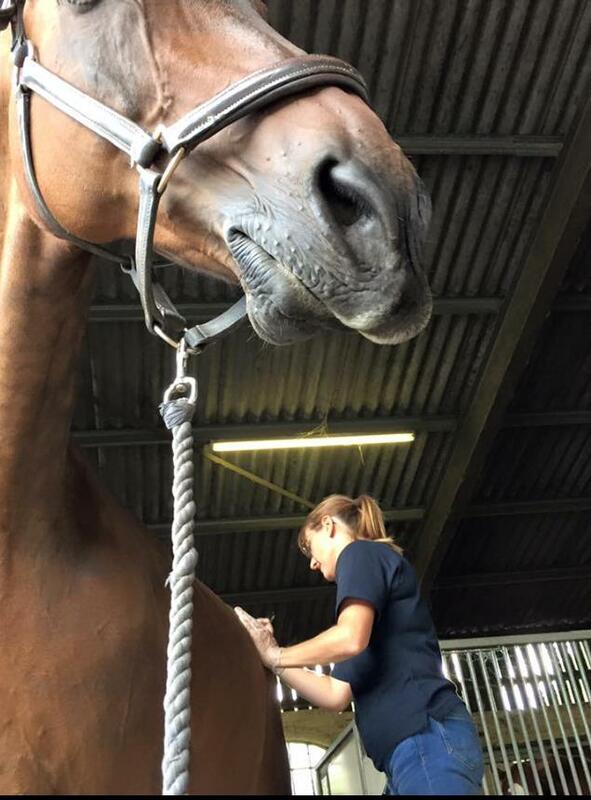 Sports massage can have many benefits to the general wellbeing and maintenance of your horse. During routine visits it may lead to an early detection of discomfort in your horse before it causes a bigger problem. Massage therapy can also be beneficial in the rehabilitation of an injury and improve circulation, particularly important if a horse has to be box rested. Your horse is 60% muscle and has over 700 of them! Muscle tension can occur for a number of reasons. When muscles are tense or tight there will be restricted movement in that area which will lead to tightness in other areas as the horse tries to compensate. Pain will often be present but your horse will not always show that he is in pain until it becomes more severe. Massage therapy can alleviate this tension build up which will reduce pain and can return normal function. Please get in touch by using the contact me page if you have any further questions about how massage therapy might help your horse. Please see terms & conditions page.